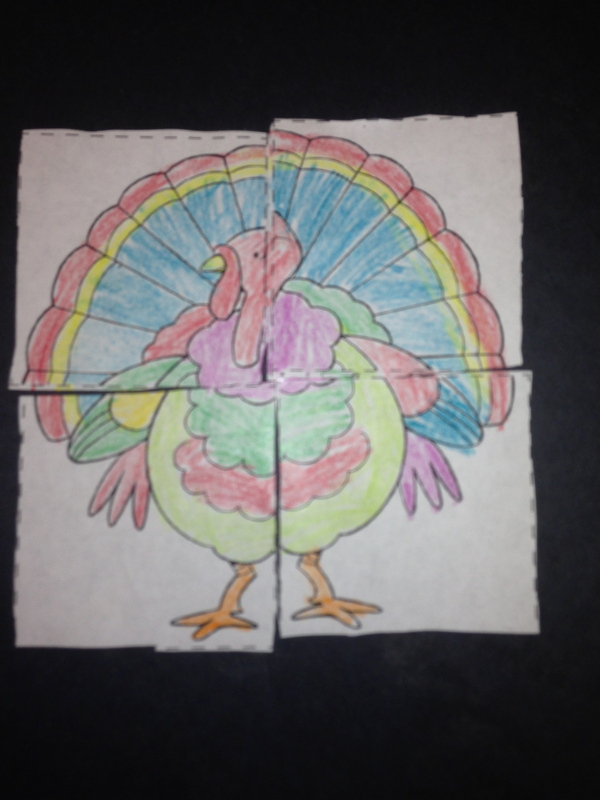 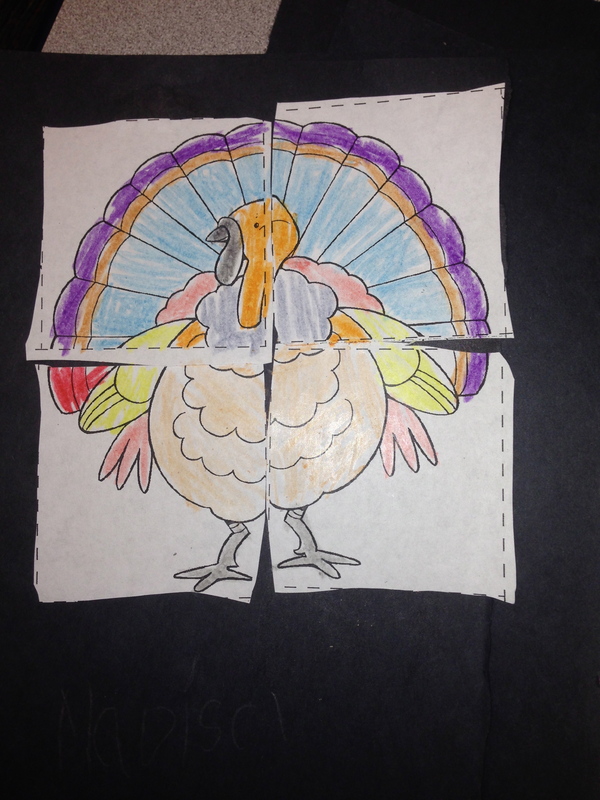 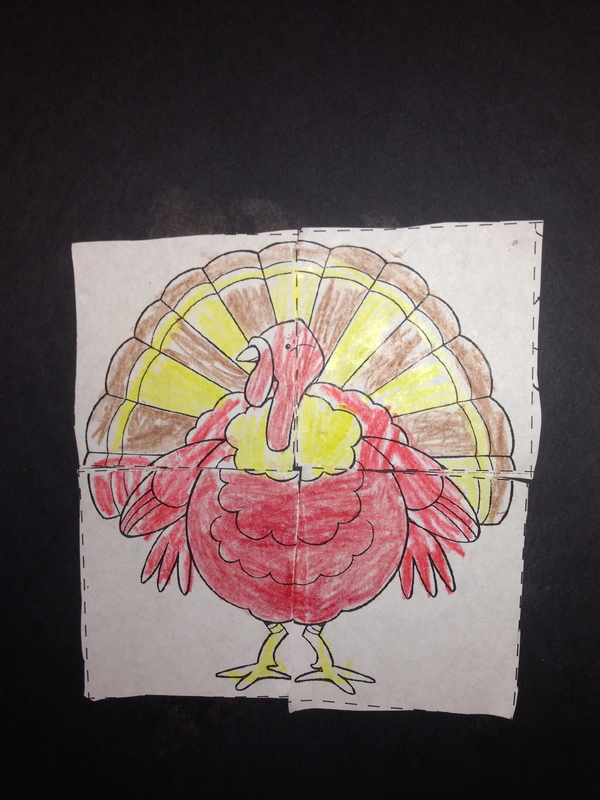 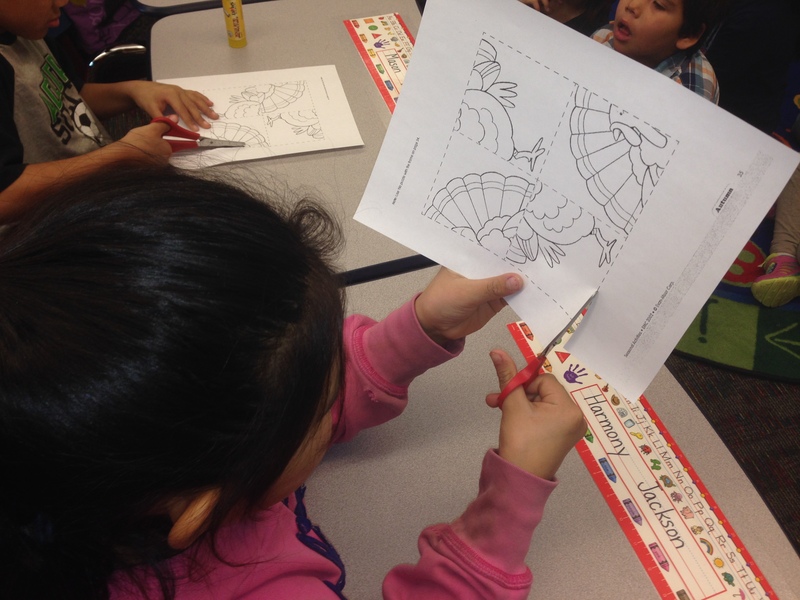 As a class we read “A Plump and Perky Turkey” and cut out turkey puzzles and glued them in the correct order. 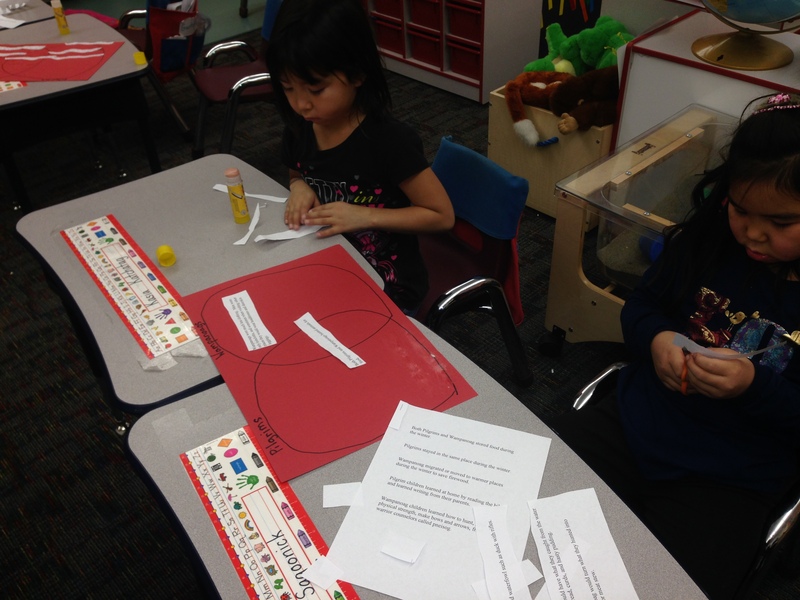 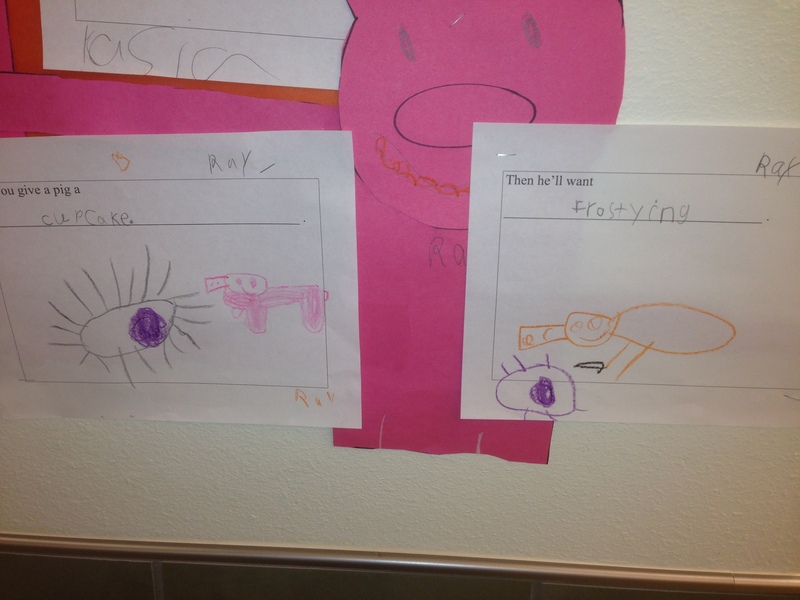 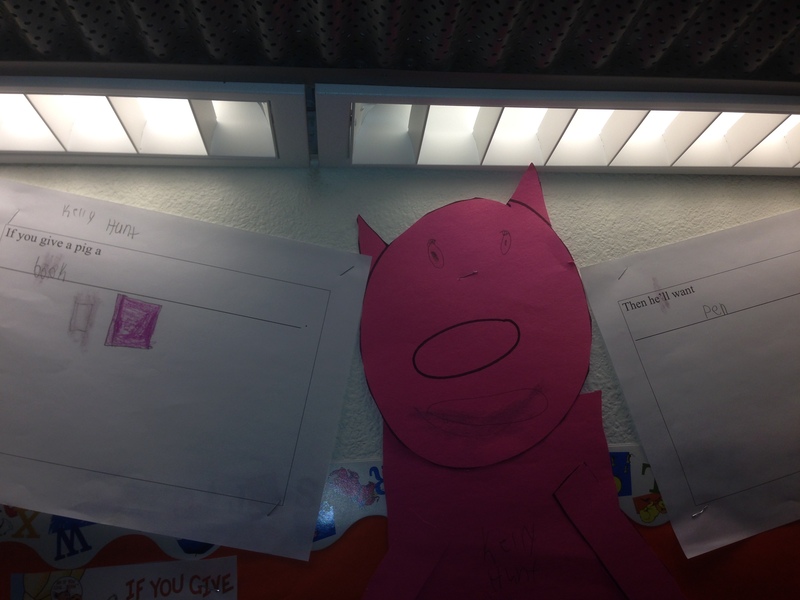 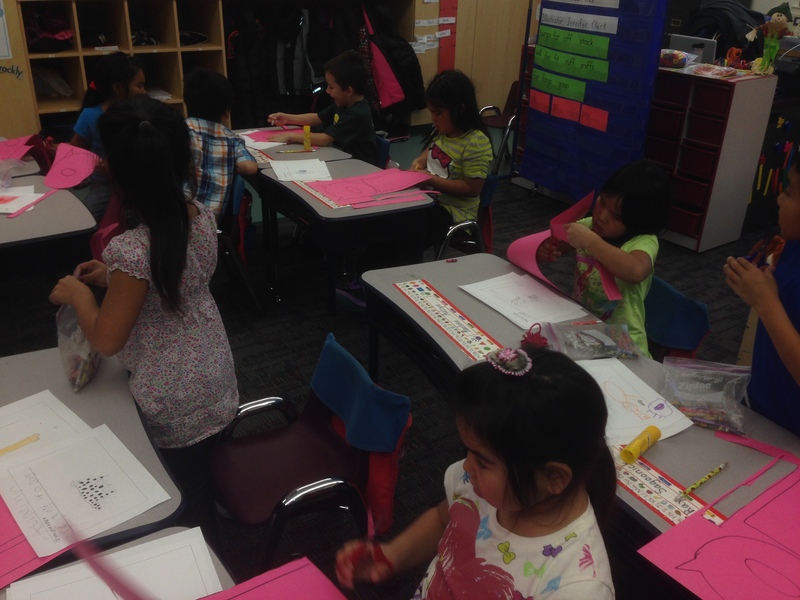 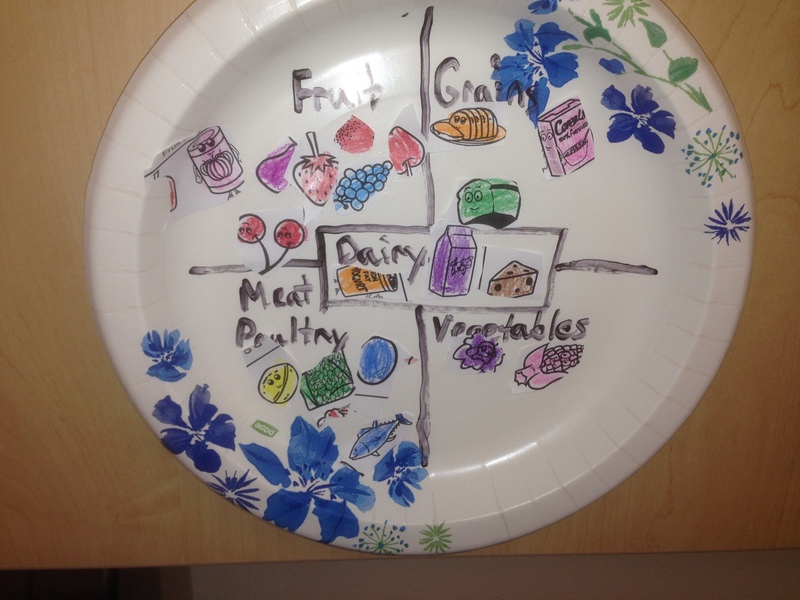 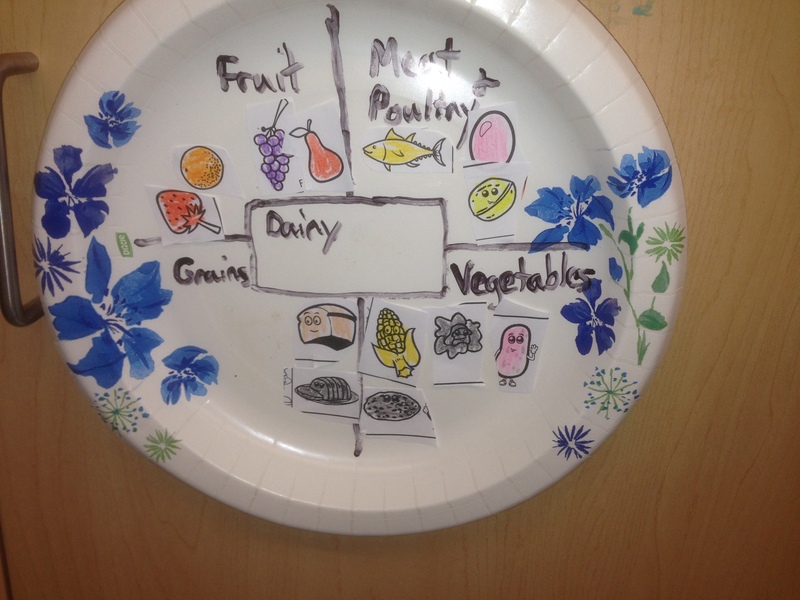 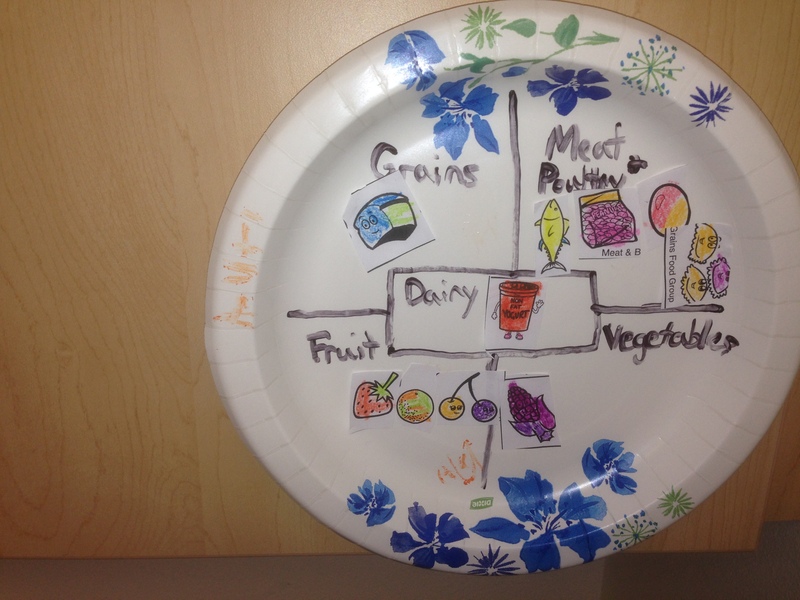 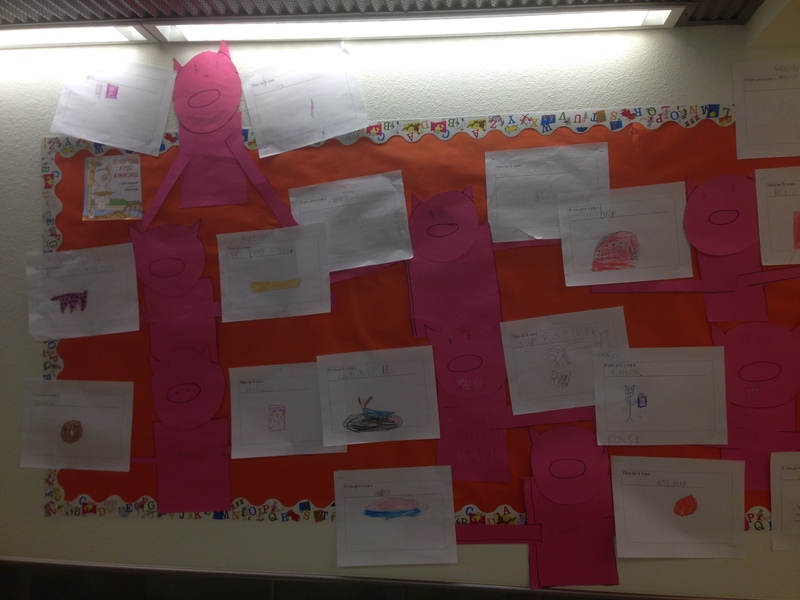 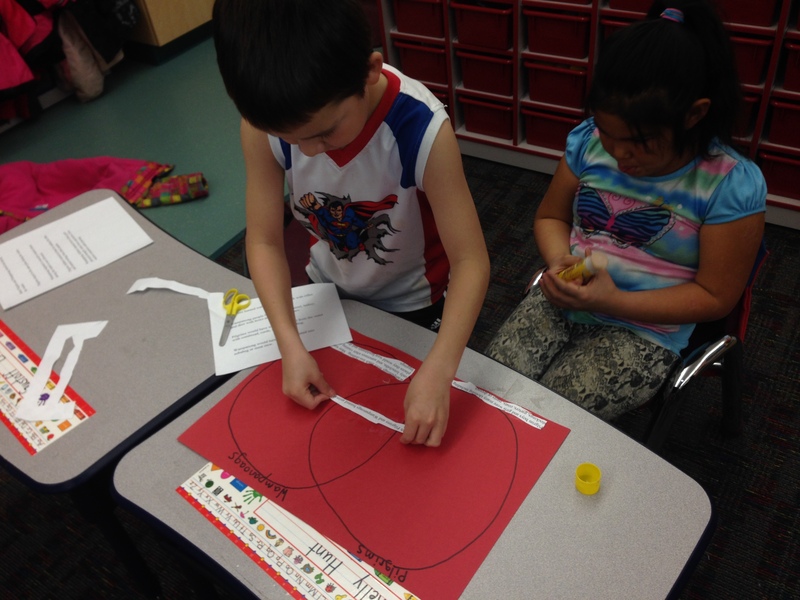 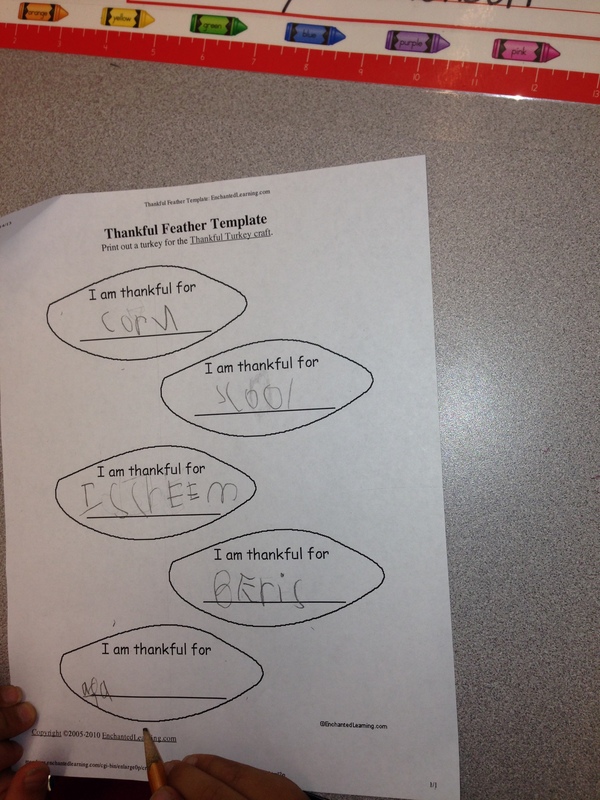 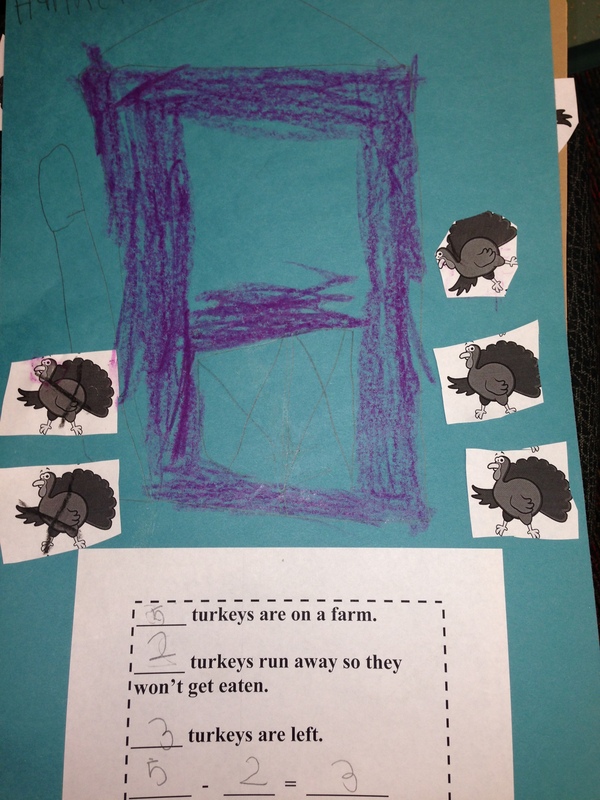 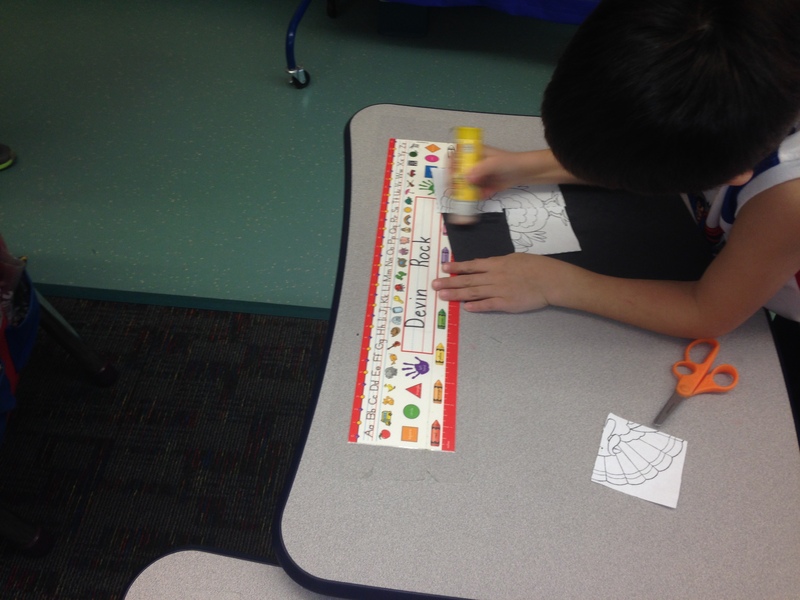 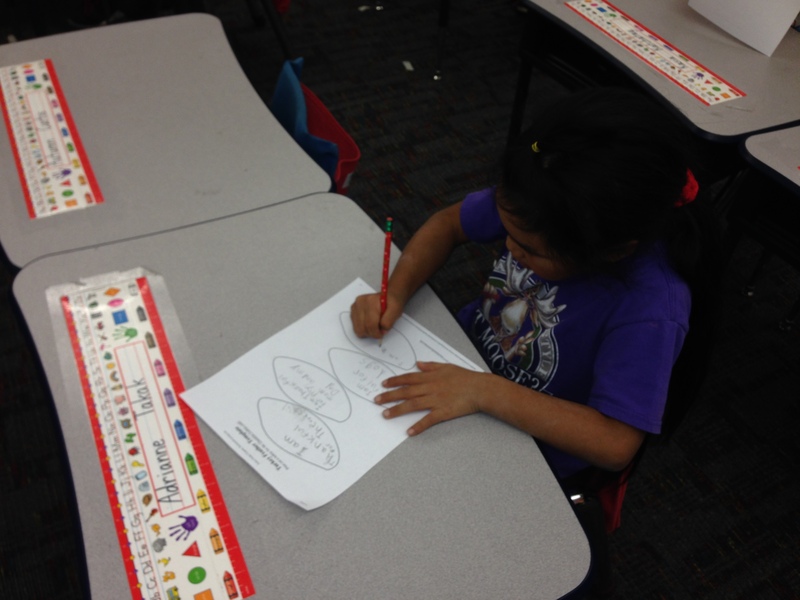 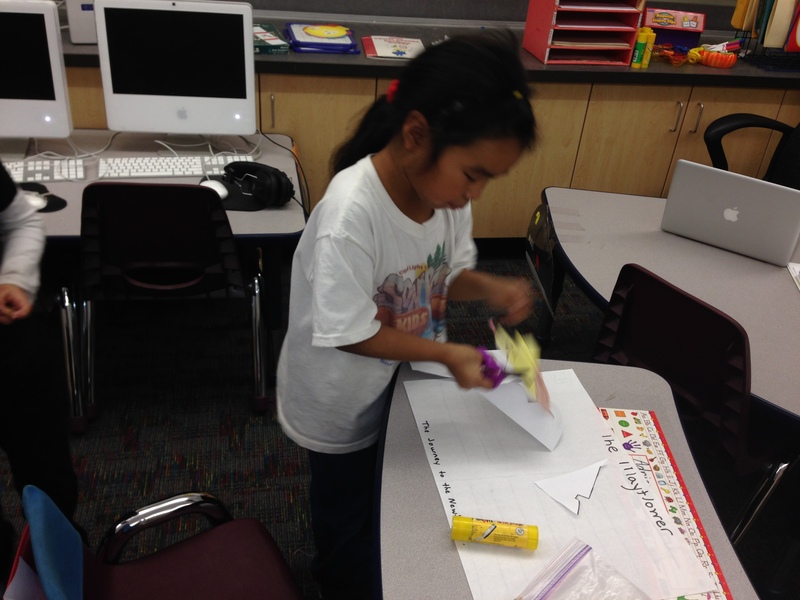 In Kindergarten we recently learned about positional words and shapes. 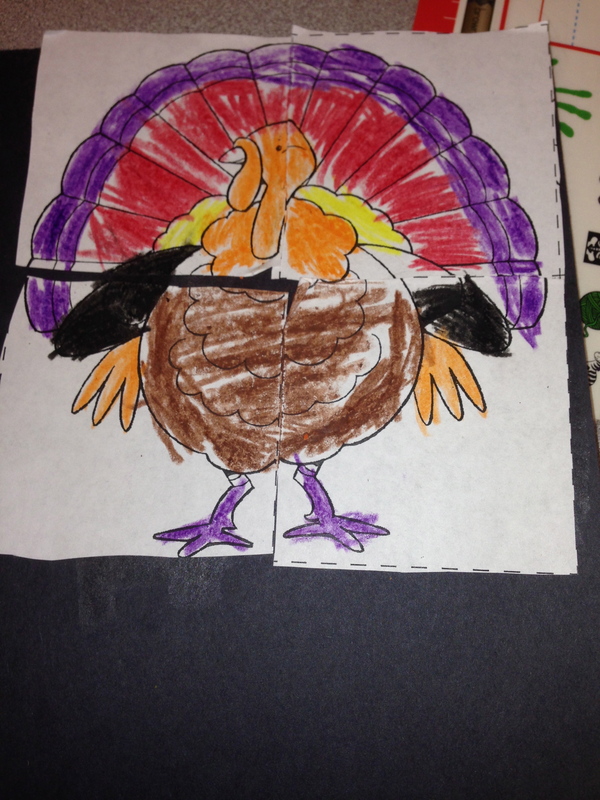 Students created their puzzles during math workshop. 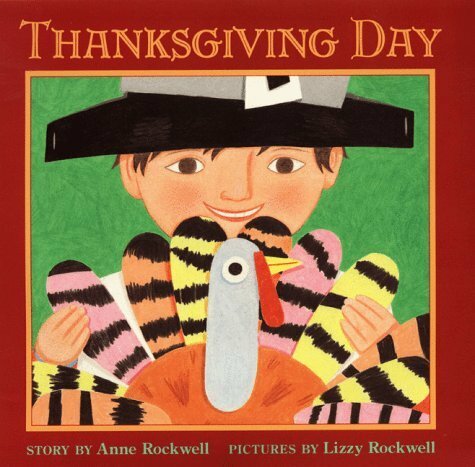 We read the book “Thanksgiving Day” reviewed the most important details from the book such as the different things the children were thankful for in the story. 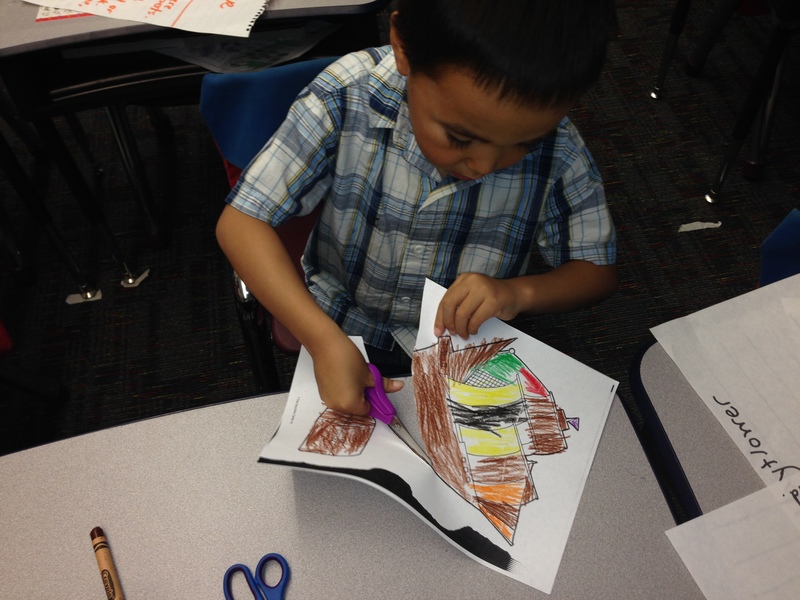 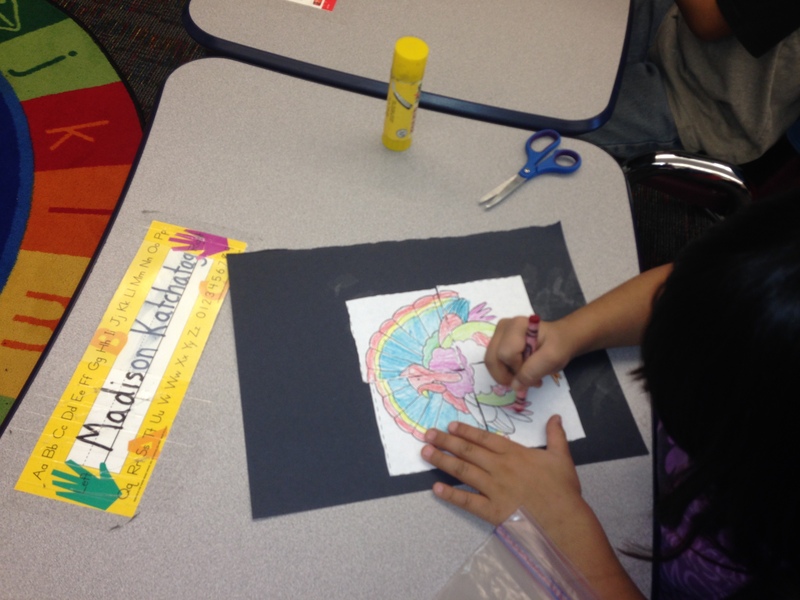 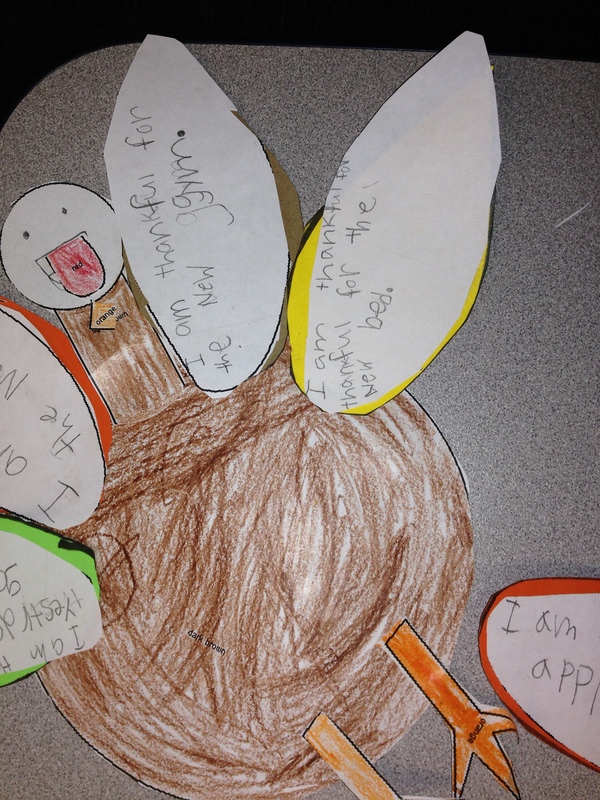 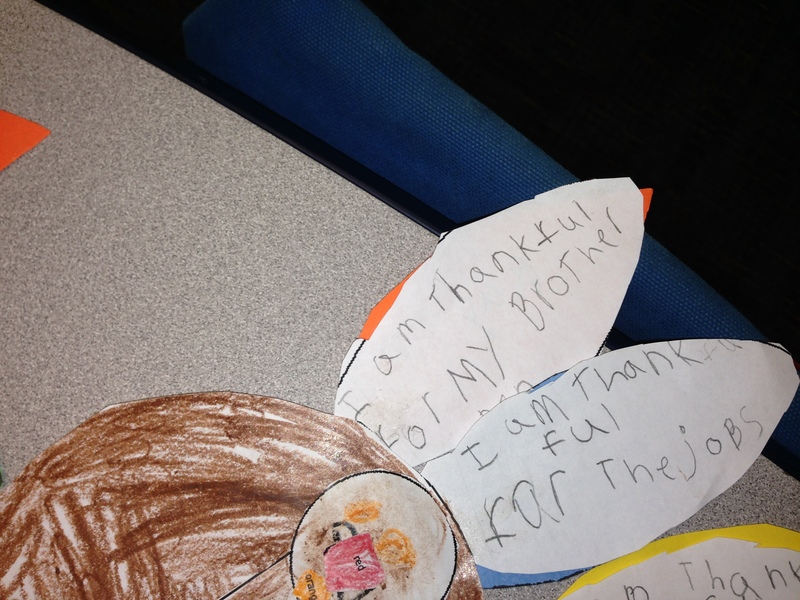 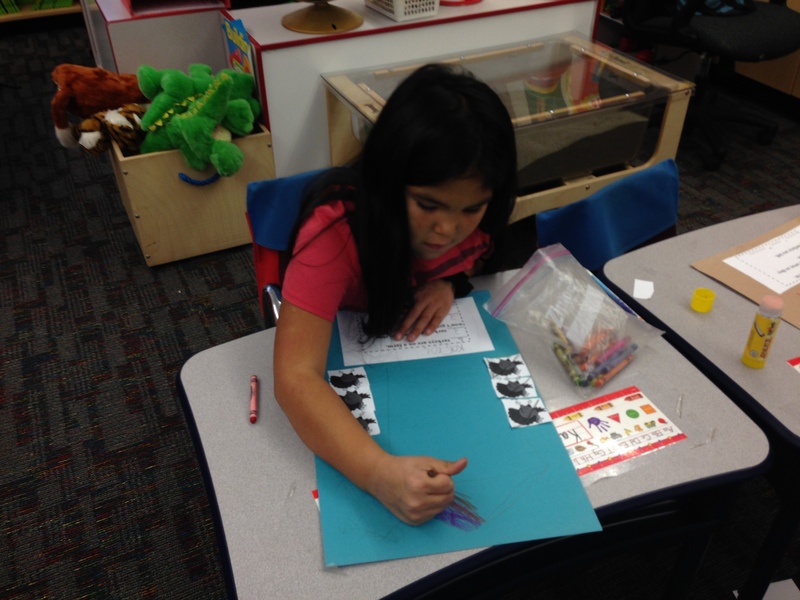 Then students created their own turkeys with feathers where they write what they are thankful for. 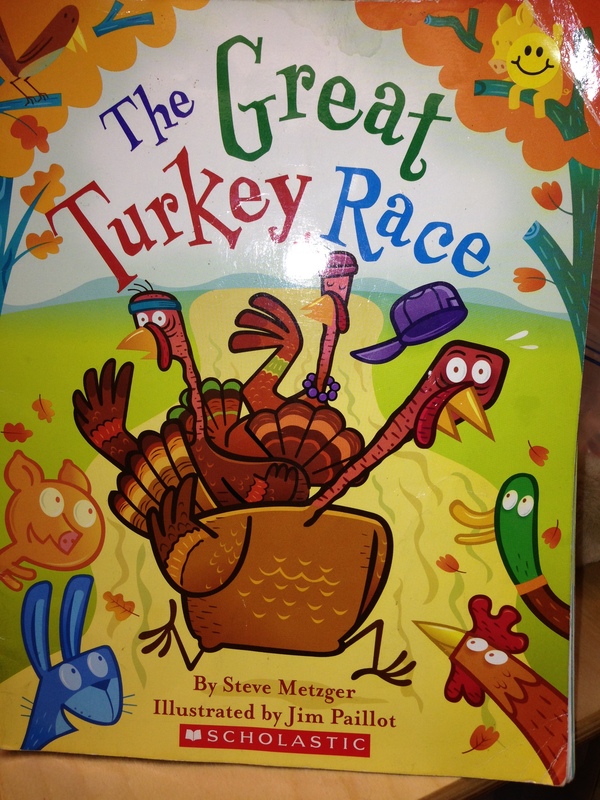 We read the story The Great Turkey Race and created our own subtraction story problems to connect it to the story we just read. 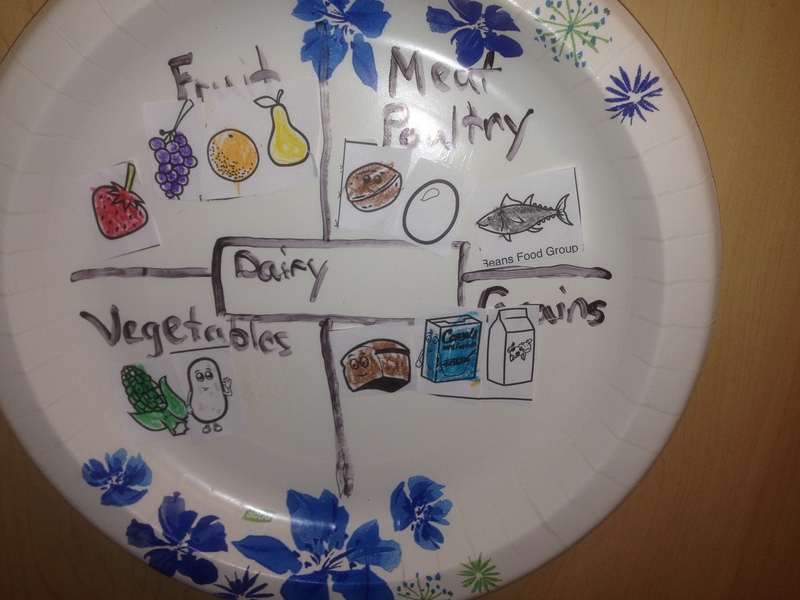 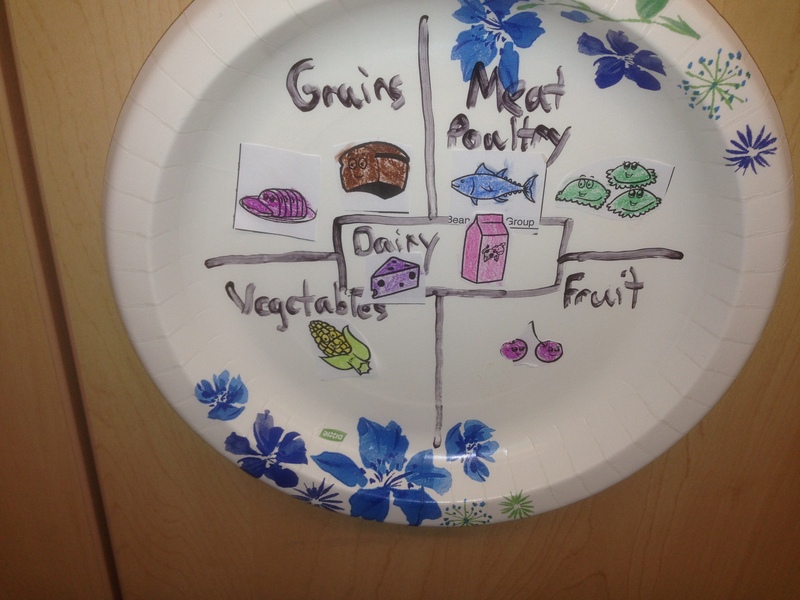 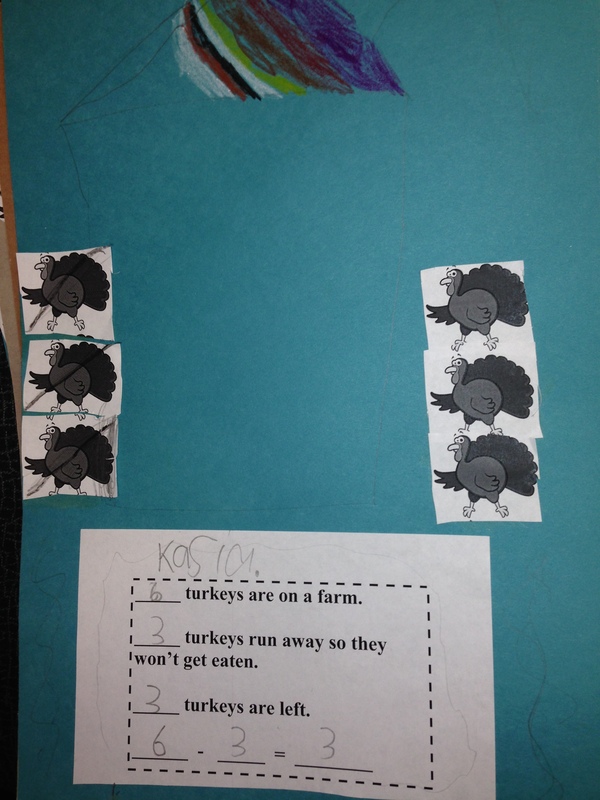 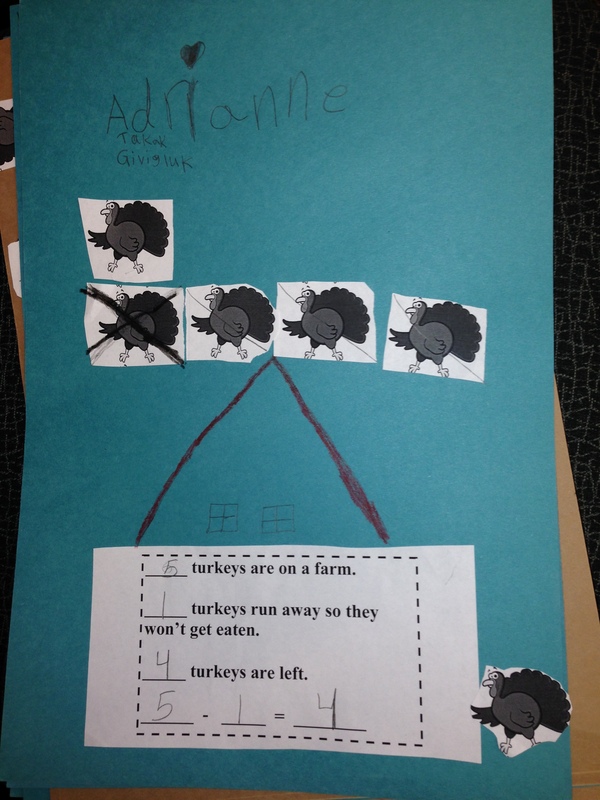 Students cut out how many turkeys started out on the farm. 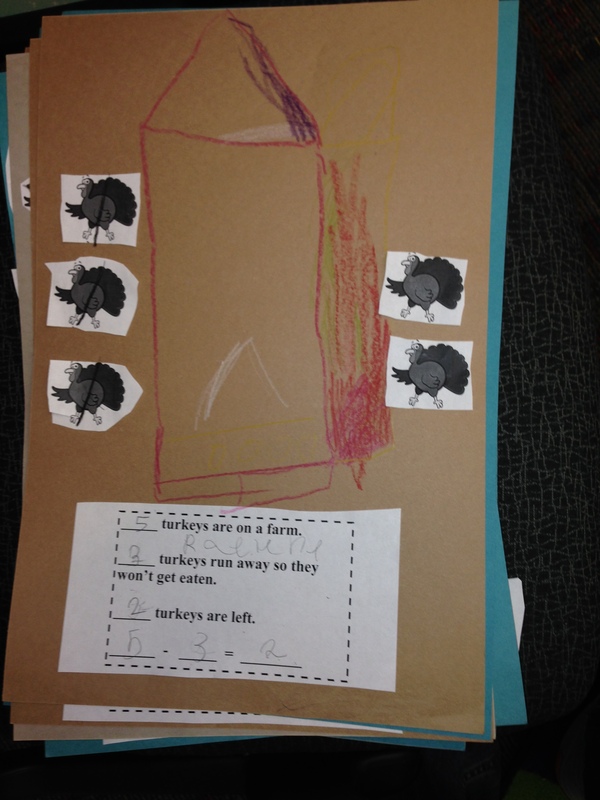 They crossed how many turkeys ran away and wrote how many turkeys were left. 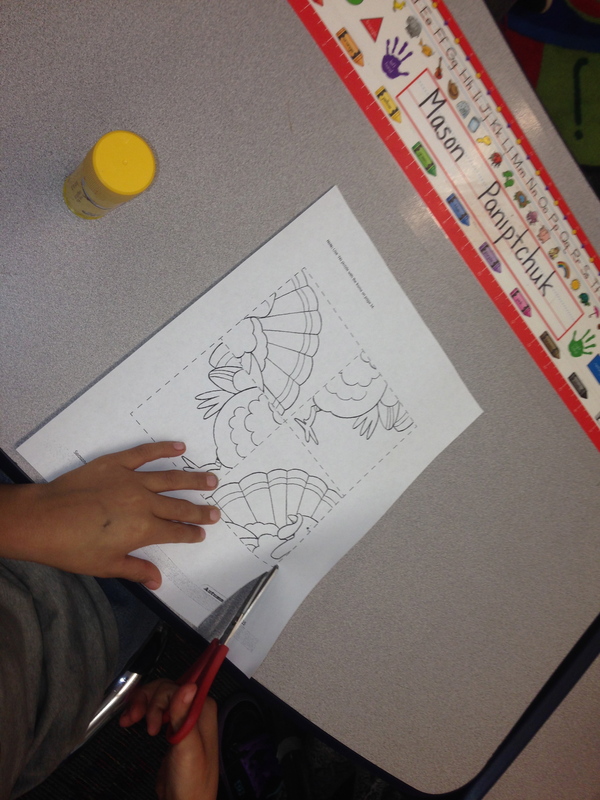 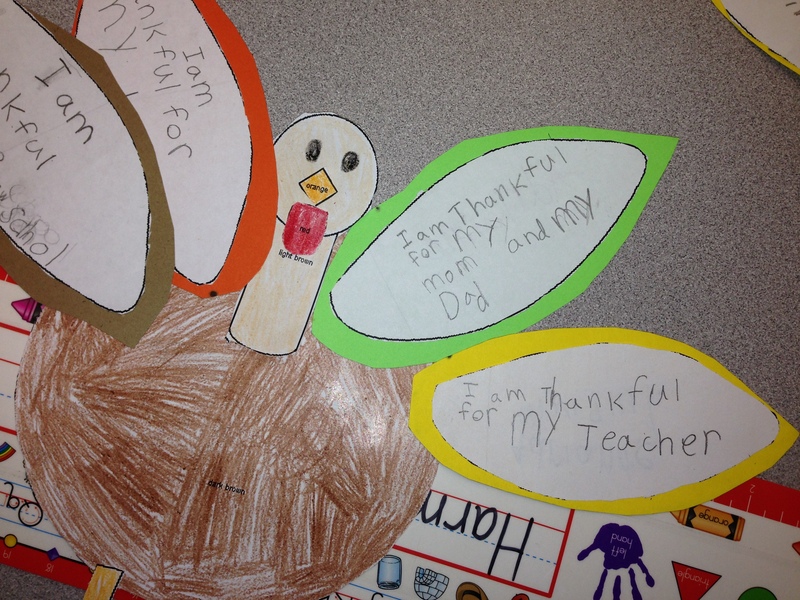 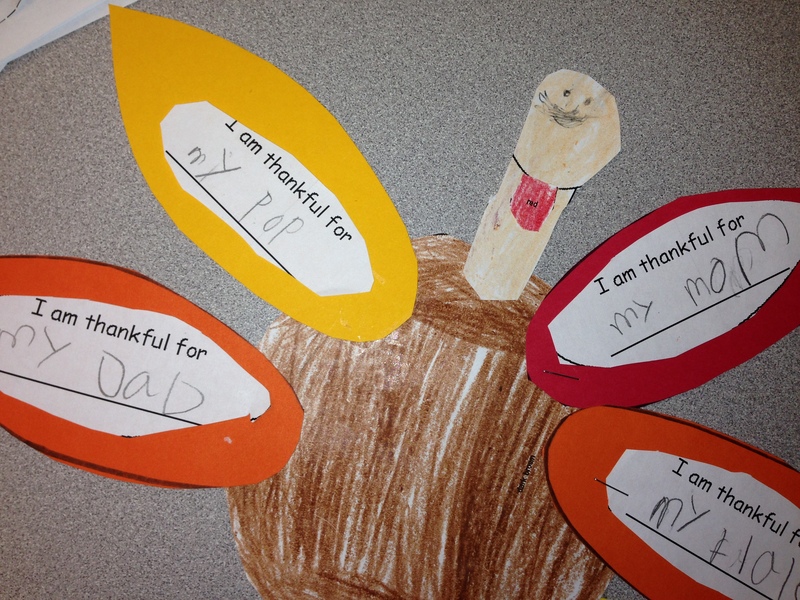 We have started the First Thanksgiving Unit in our K-1. 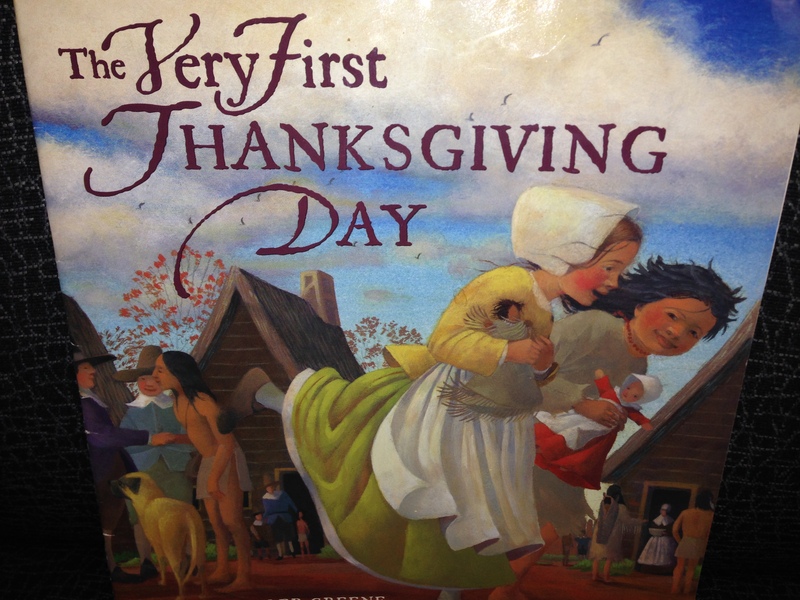 To start out the unit we read the book “The First Thanksgiving” and I discussed with the students an overview of Native Americans and Pilgrims. 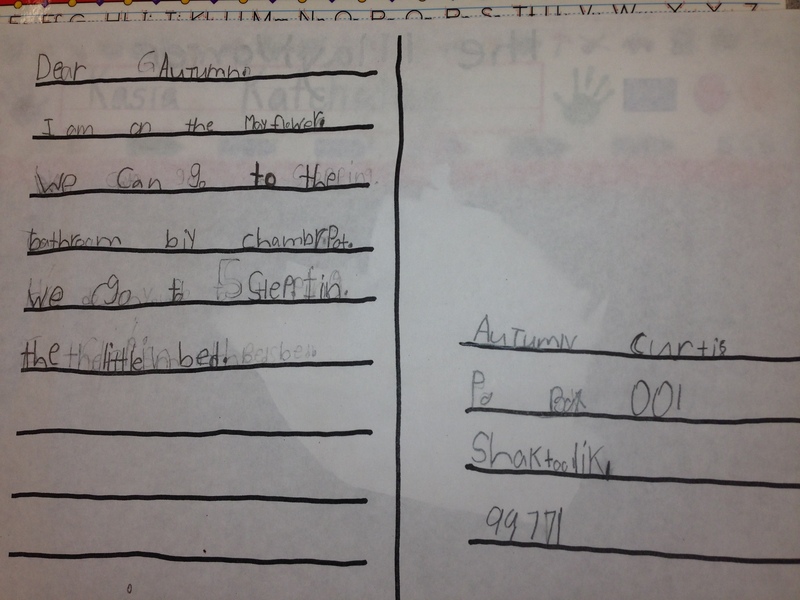 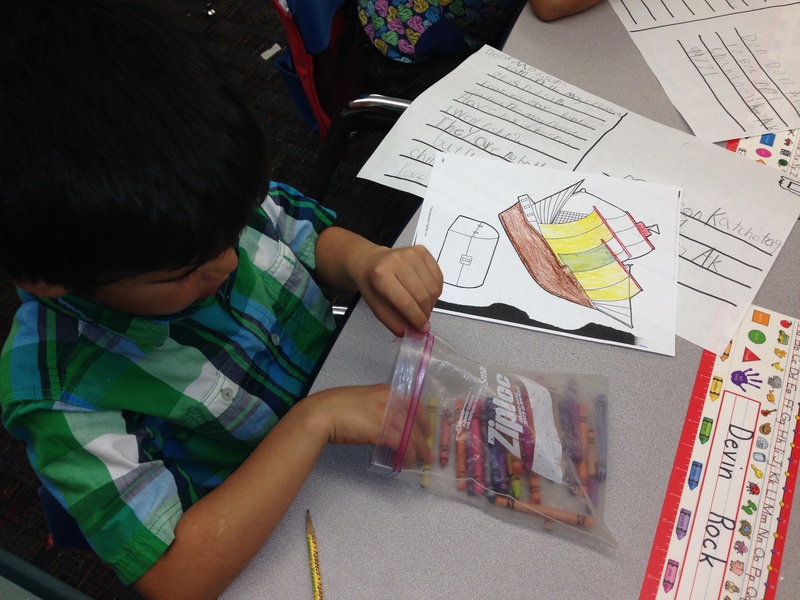 They learned that the Pilgrims arrived to America by the boat the Mayflower. 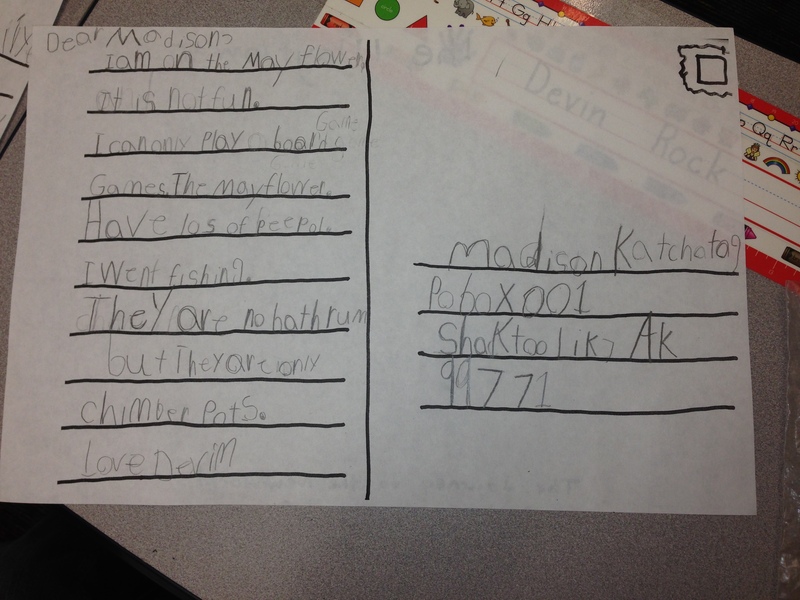 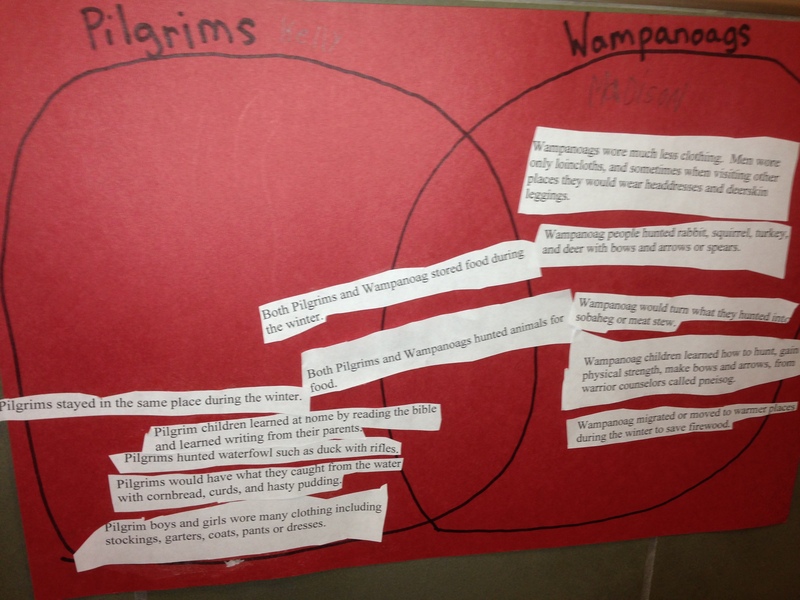 We took what few things we learned about the Mayflower in the book and started a KWL. 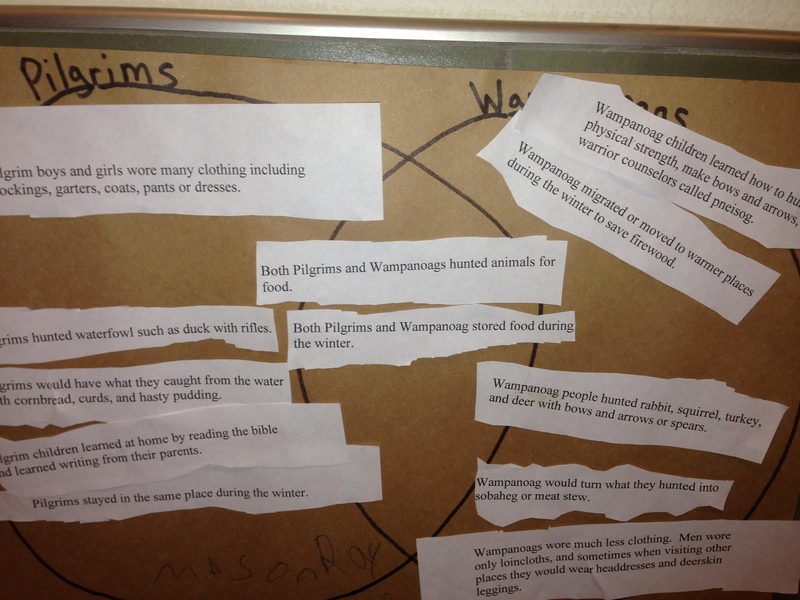 We thought up of questions we wanted to know about the Mayflower. 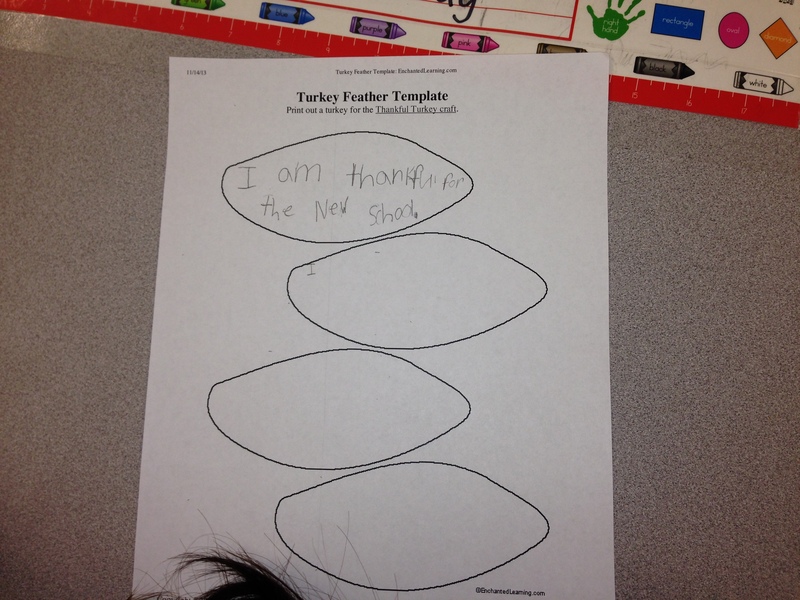 Then we took a virtual tour of the Mayflower from Scholastic’s First Thanksgiving website. 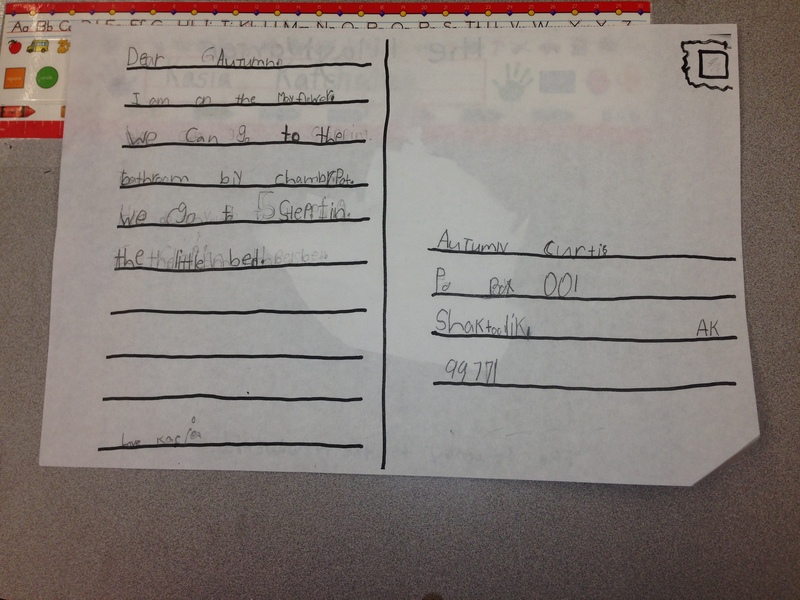 Then we took the questions answered and what we learned to write giant postcards. 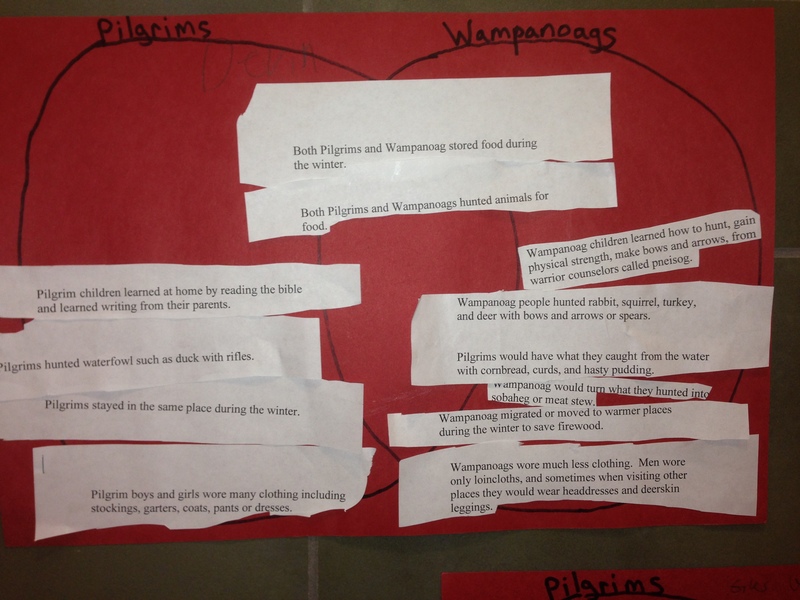 The students pretended that they were pilgrims that traveled on the Mayflower. 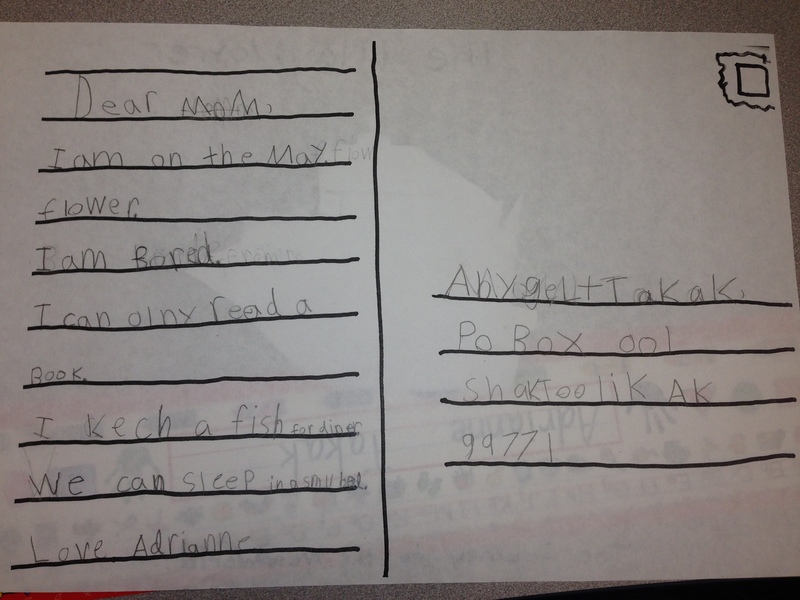 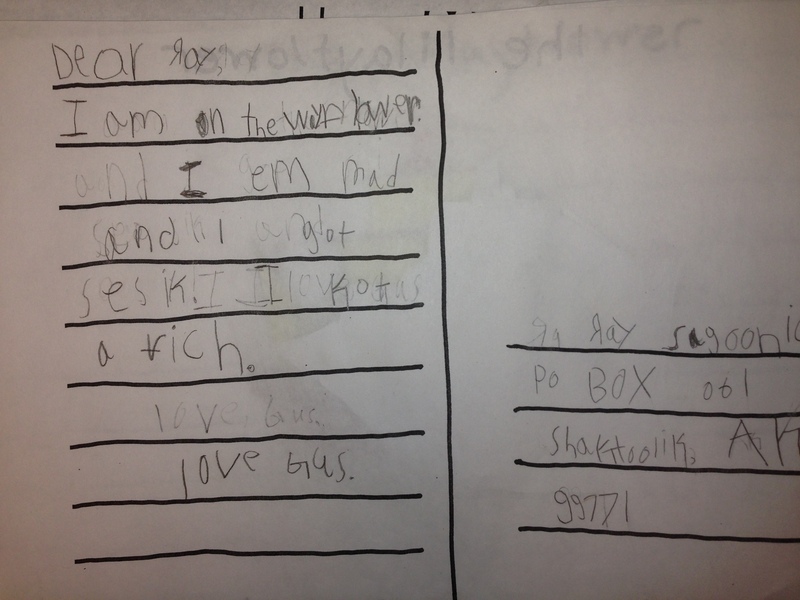 The students describe how they slept, eat, things they did for fun, or even how they went to the bathroom on the ship. 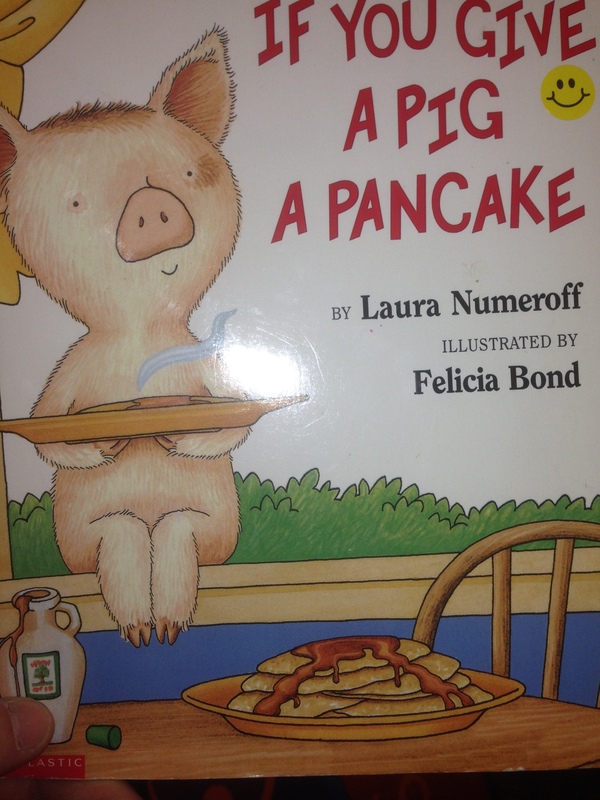 As a class we read the story “If You Give a Pig a Pancake”. 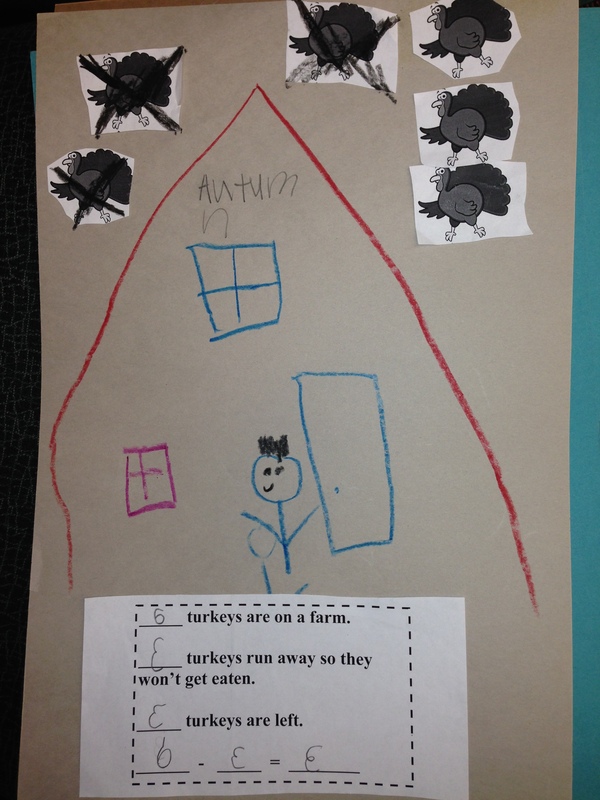 While reading we made predictions about what will happen next in the story by using our prior knowledge to guess what he would want next after he was given something. 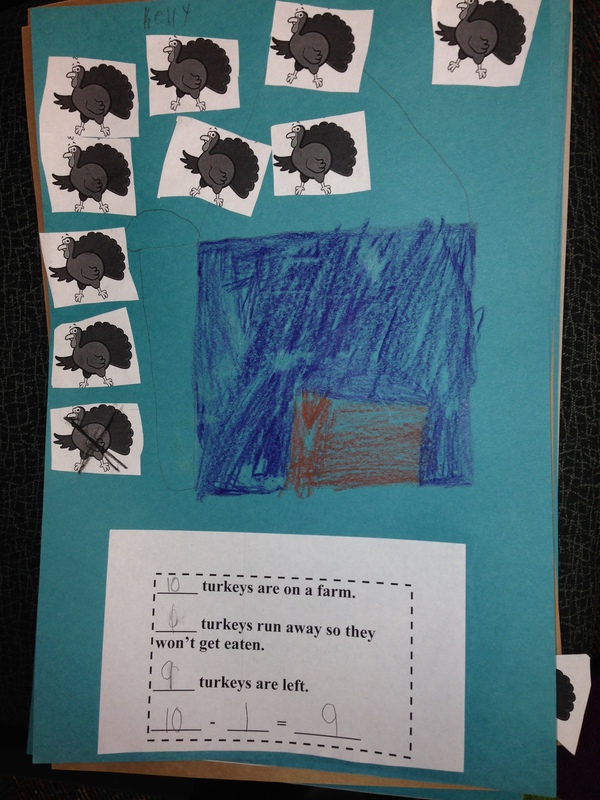 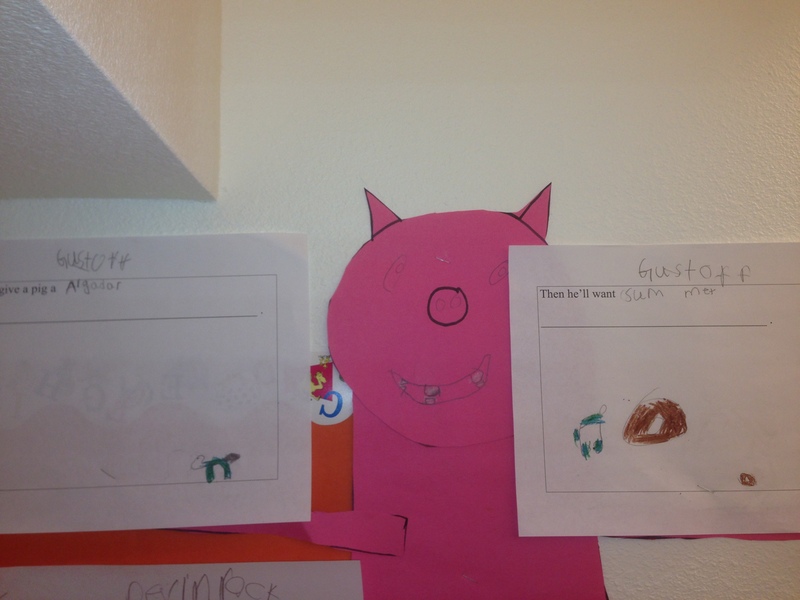 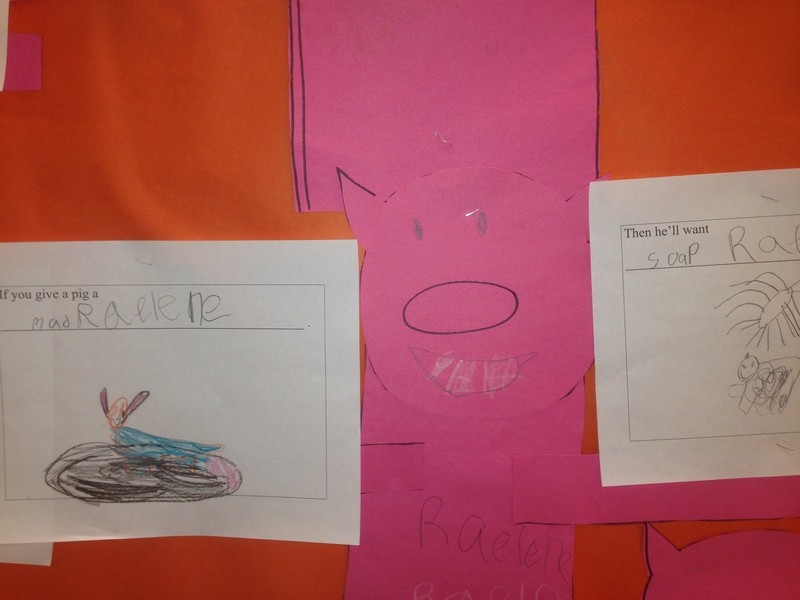 Then after we read the stories we made our own pigs and drew what we would want to give our pigs. 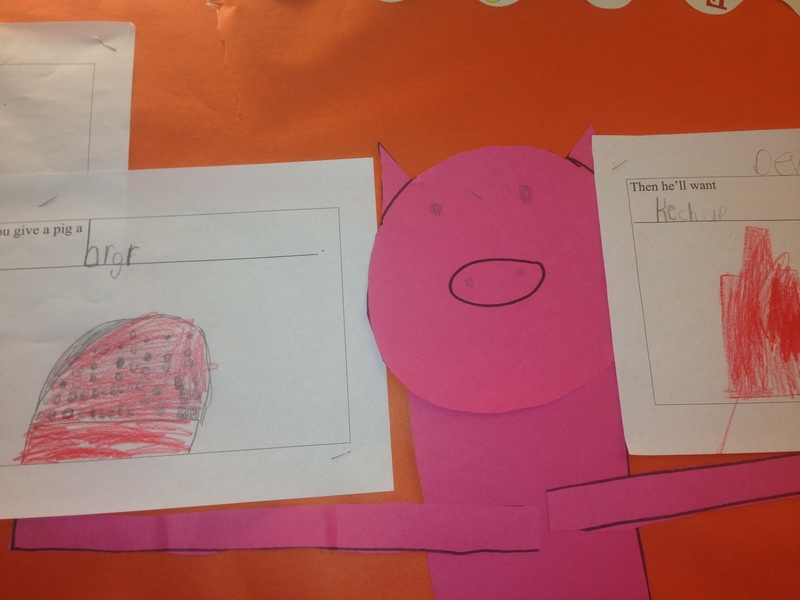 Then we drew what the pig might want after we gave him the first thing.